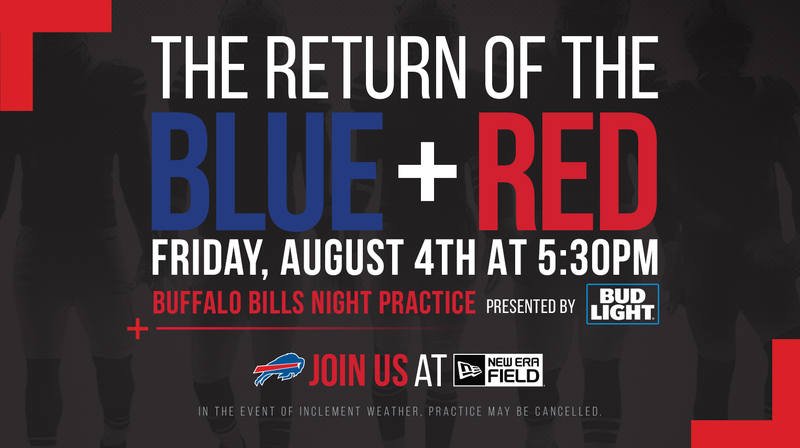 Please be advised that there is inclement weather in today’s forecast for The Return of the Blue + Red practice, presented by Bud Light at New Era Field. The practice time remains scheduled for 5:30 pm. If severe weather in the area becomes a safety concern there may be a rain delay during practice or cancellation at that time. Please check buffalobills.com, Buffalo Bills Twitter or our Buffalo Bills Facebook page throughout the day for updates.